first of all this is not a table, i tried to extrude cut 4 holes (.25 in Dia) through the .10 in plate. what i did was that i extruded the 4 holes through, then i used subtract command, first i pick the plate and then i pick each hole to subtract but nothing happen, how would you do it? the final product would be the plate with 4 holes for monitor mounting bracket. thanks. It does not look like the four tubes have actually penetrated through the plate. Can you upload a copy of the drawing? Another way of doing it would have been to create a 2D profile (using a polyline) of the plate, add the circles for the holes, use the REGION command to create 5 regions (plate plus four holes), use the SUBTRACT command to subtract the "regioned" holes from the plate (it will appear as though nothing has changed) then use either EXTRUDE or PRESSPULL to give the plate the required depth. 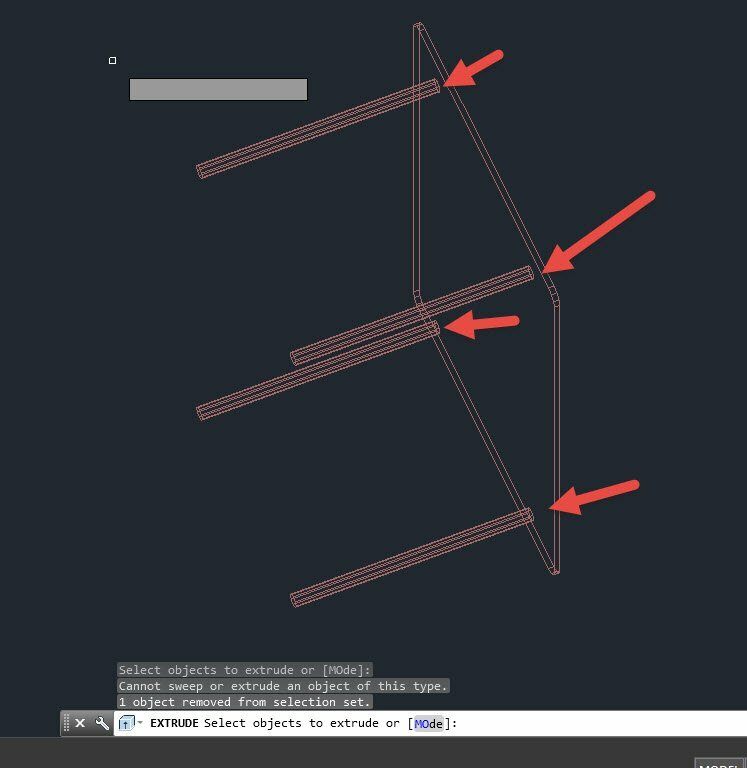 i might did wrong, what i did was i create the whole profile in autocad 2D and i create block and i copy and paste in the 3d but i had to explode it in 3D, i should try the way you suggested me. Is this what you are attempting to achieve? Just as I guessed. The tubes do NOT penetrate all the way through the plate. They stop at the bottom face. Another option would have been to draw the four circles after the plate was extruded and use the PRESSPULL command to push the circles through the plate in order to create the holes. i also did this method, my issue was that i had a hard time drawing Ellipses for 4 circles on the plate, i the axis went to different direction. As with anything else one attempts to do with AutoCAD there can be multiple ways to achieve the intended result. Ellipses are not required; circles are. I typically work in a SE Isometric view to better observe what is going on. Only after I have achieved the desired result do I then rotate the object if required. Work smarter not harder. 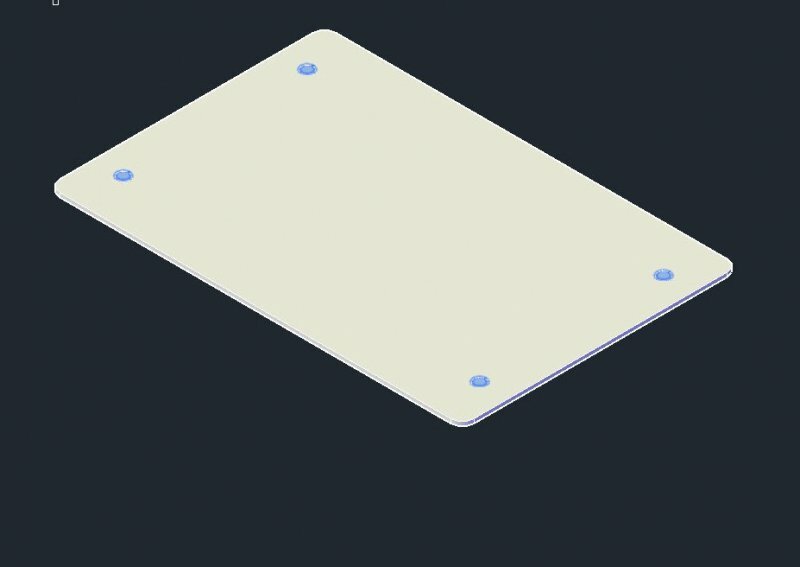 i was able to follow this method by using the PEDIT command for the plate and after that i use REGEN command, and i was able to subtract the plate and the circles and the holes were cut through, that is cool. thank you Remark. Glad to hear you achieved the desired effect. You're entirely welcomed.